Software Screens Software Videos Software Summary Software Menus Free Trial of Software Animated S/W Demo What is Download Only Version? Buy HiTech Accounting Software now on secured sever online. Email or call us now. Touch Screen is an input (keyboard & mouse) and output device (monitor or computer screen) rolled in one. Touch screen receives input through Soft Keyboard or software driven keyboard. No interrupts are now required to process the keys and CPU sits cool with a touch screen monitor. We can create cool software for you based on touch screen. 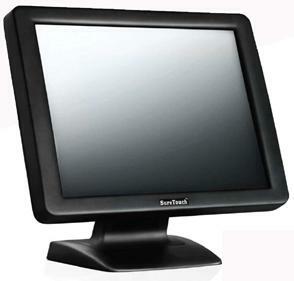 Touch screen are primarily used with POS terminals. Point of sale systems have revolutionized the retail industry in all business segments. The most recent technology is using the computers as cash registers , mostly with touch screens like POS. The registers connect to a server, often referred to as a store controller or a central control unit. Printers and monitors are also found on the network. Additionally, remote servers can connect to store networks and monitor sales and other store data. Touch Screen Technology Integration, Touch Screen as Input and Output device on computer. What is Touch Screen Technology? 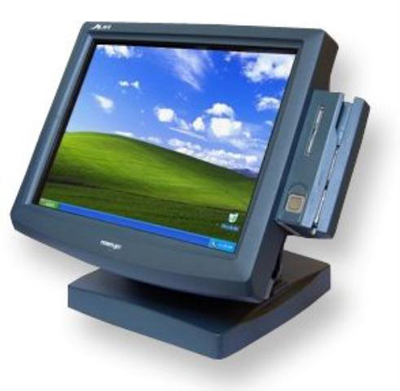 We can supply kiosk hardware from OEM vendors and develop the software for you. An electronic kiosks is basically an stand alone or networked computer. It has a stand on which the touch screen is mounted at normal eye level. The computer holds the program menu on the desktop in a manner that the desktop of the computer is not shown on touch screen at any time. 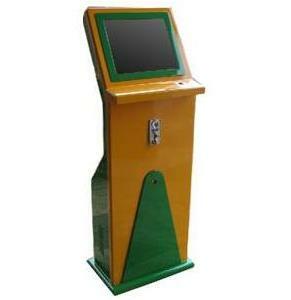 The electronic kiosk may be information kiosk with information stored locally or it can be a networked kiosk connecting to LAN or internet fetching data from internet server. Such kiosks are mostly used at railway stations, bus stations and airports like public places. These kiosks can also be a vending kiosk where additional facility is provided for accepting payment by cash or credit or debit card and a outlet slot for dispensing the merchandise. Needless to say it is any other electronic kiosks with more facility and features to process payments and make delivery. Hit the Bull's Eye with HiTech Software!